How would you like to wake up each morning to the beautiful view of a lovely lake or a gently flowing river, green canopy and distant mountains? 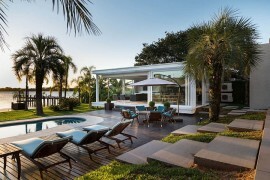 While it remains a dream for many of us, modern lakefront homes are turning this fantasy of an idyllic setting into reality by combining smart contemporary design with sustainable style. 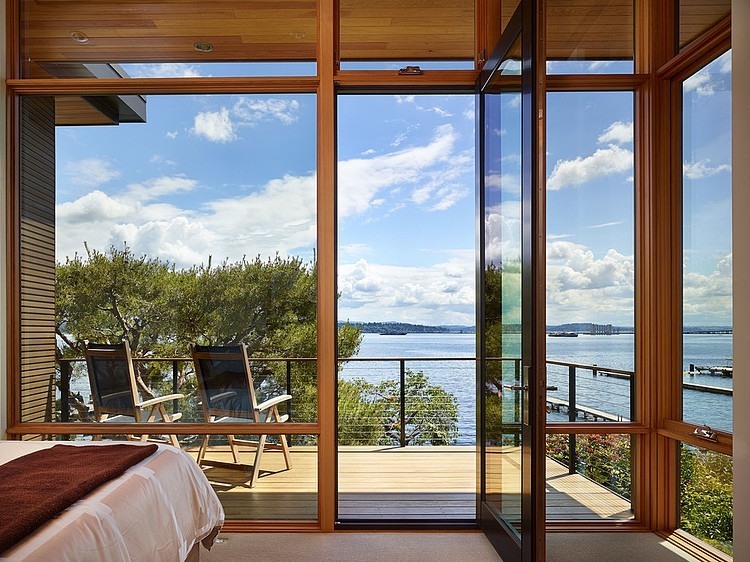 With homeowners increasingly starting to move away from the urban chaos, these beautiful natural retreats are turning into much sought-after properties. 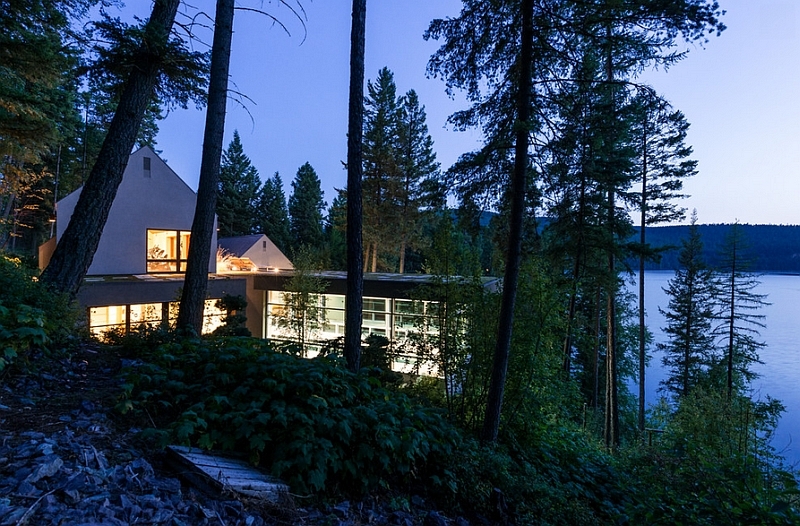 Elegant, tranquil and cozy, the modern lakeside house is all about bringing together the best of both worlds. 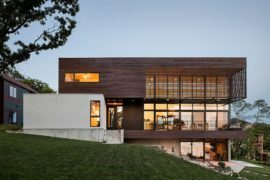 As green architecture gains ground, lakefront homes and retreats are also becoming far more eco-friendly, and many of the modern projects disturb the existing landscape as little as possible. 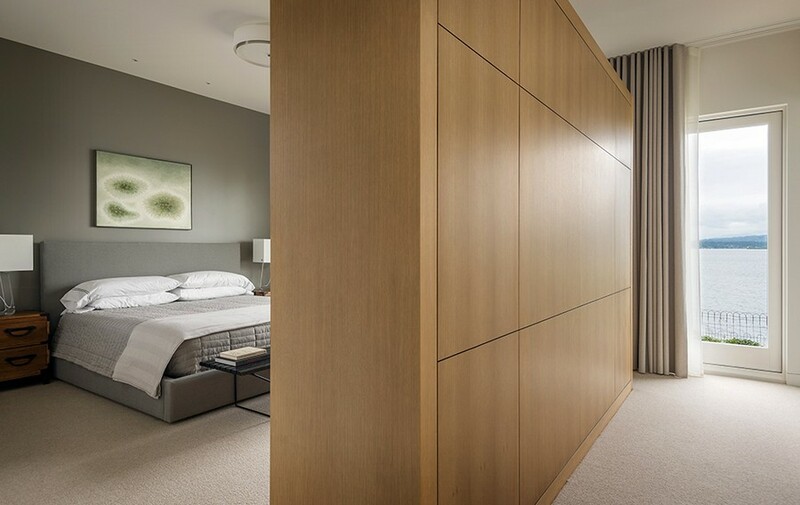 Blending into the backdrop while offer luxurious, modern comforts, here are 10 of the very best from across the globe. Enjoy! 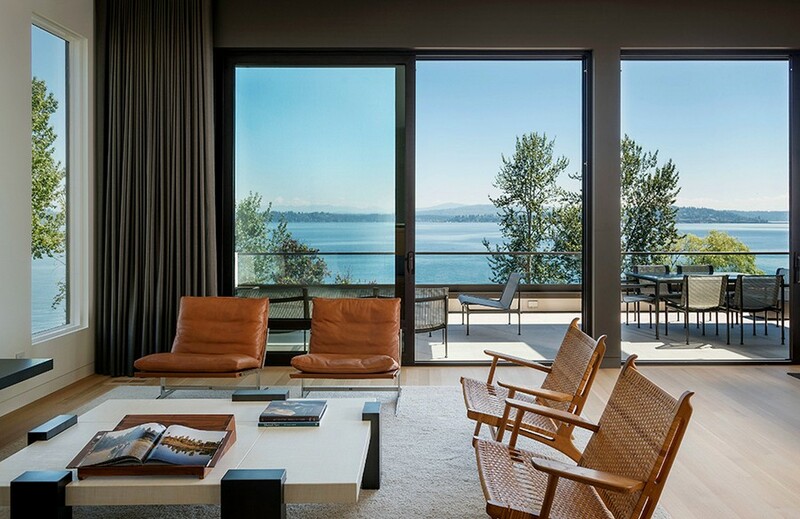 The scenic setting of Lake Washington in Seattle is home to some of the best lakeside retreats on the planet, and the lovely Courtyard House definitely tops the list. 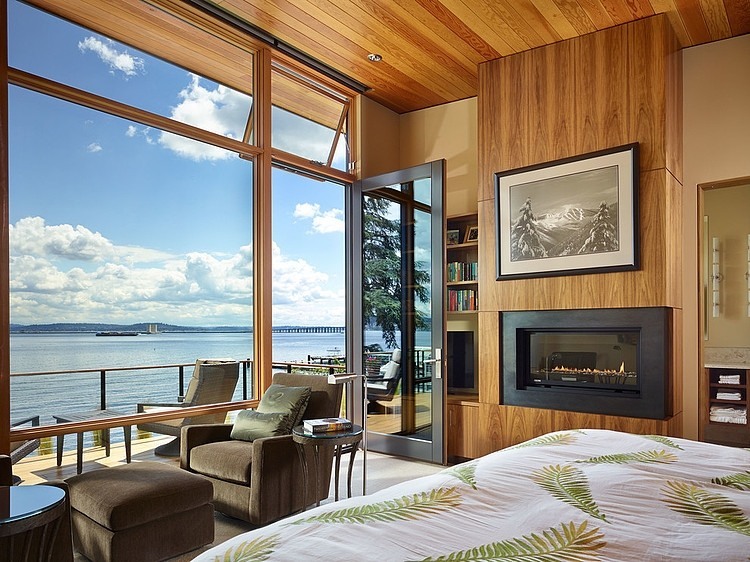 Crafted with care by DeForest Architects, the four-bedroom, three-bathroom house offers stunning views of the distant Mount Rainier and is draped in a cozy layer of wood! 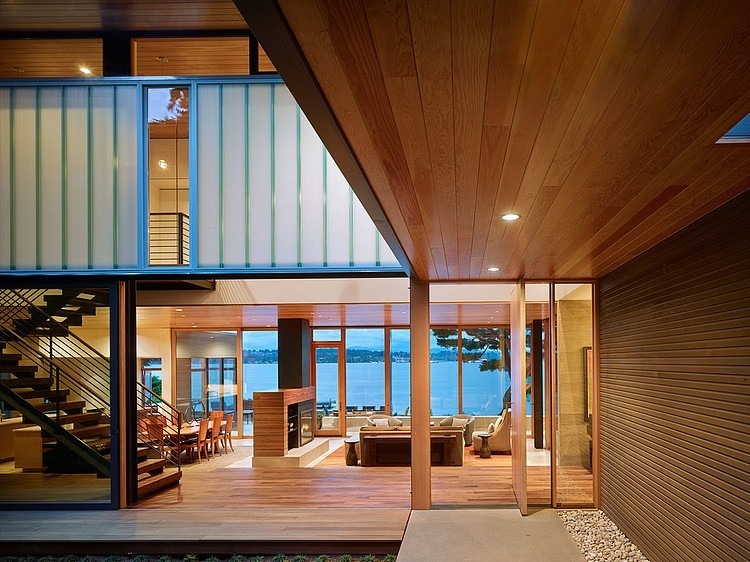 An open living plan ensures that there is a wonderful indoor-outdoor interplay, while large overhangs protect the interior from a heavy shower. 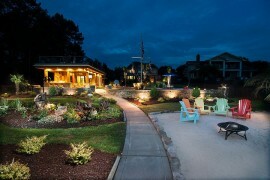 With a tasteful courtyard and ample privacy, this home allows you to put your feet up and relax in style! 2. 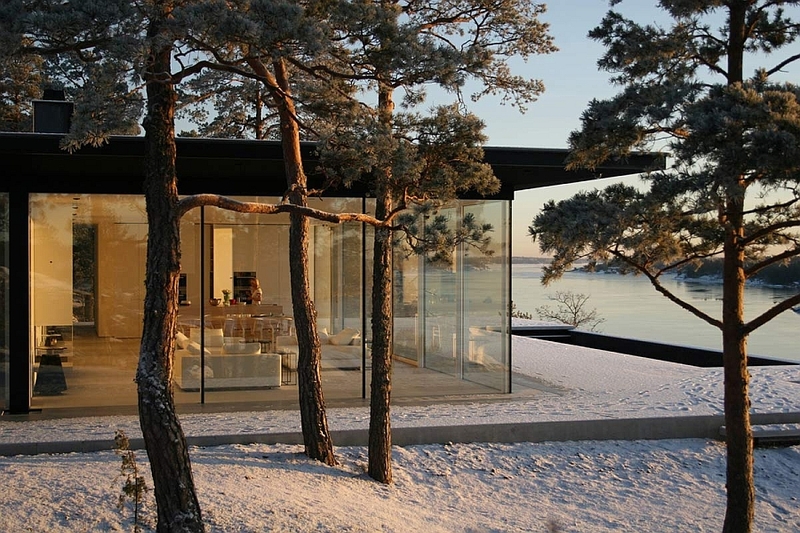 James Bond’s Swedish Retreat! 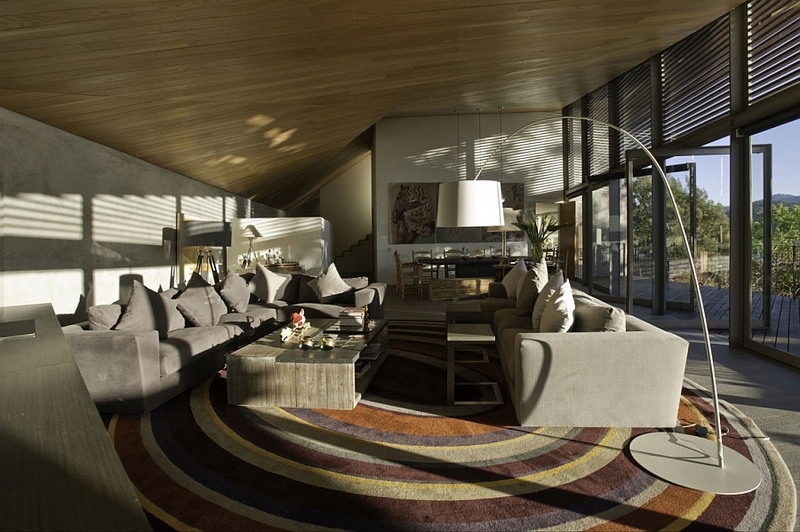 Spectacular, contemporary and opulent, this amazing Lakeside home in Sweden could well be that secret retreat where Mr. Bond goes to relax between his high-profile chases across the planet! 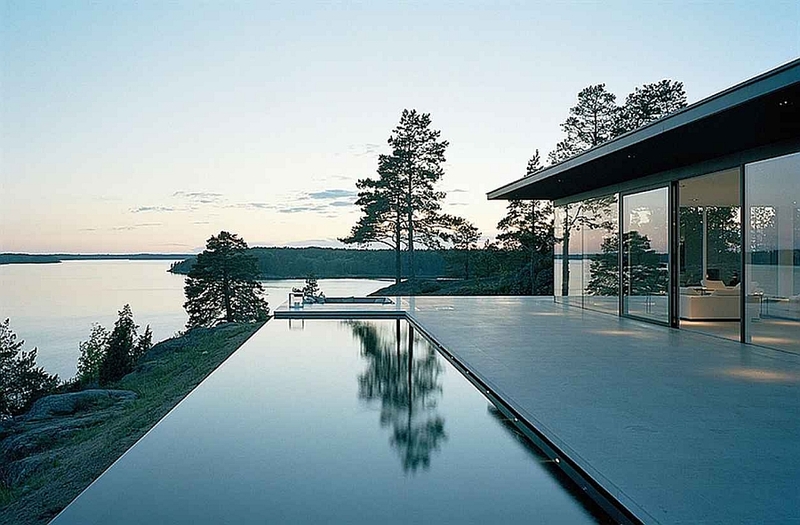 Designed by John Robert Nilsson, this fabulous getaway is the perfect example of combining nature with luxury while keeping the design simple and minimal. 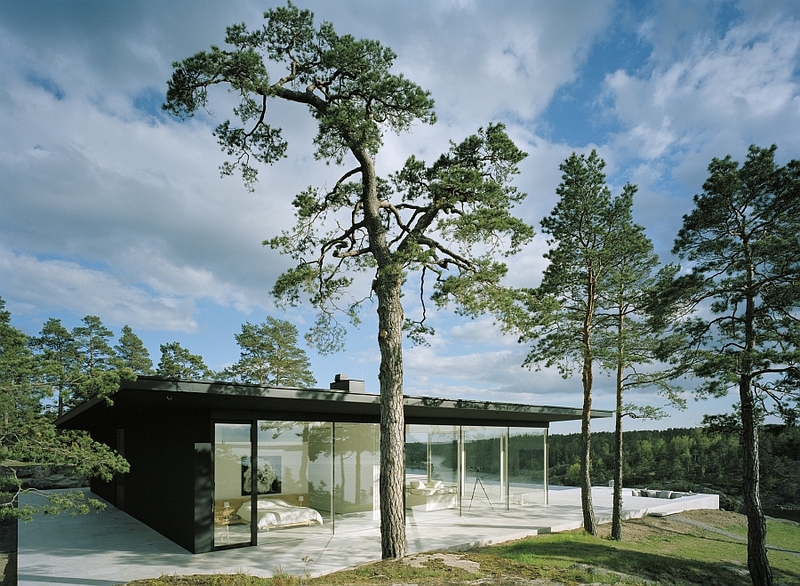 The interior is clad in pristine white, and the large floor-to-ceiling glass windows ensure that the line between the indoors and the charming landscape outside is blurred away. 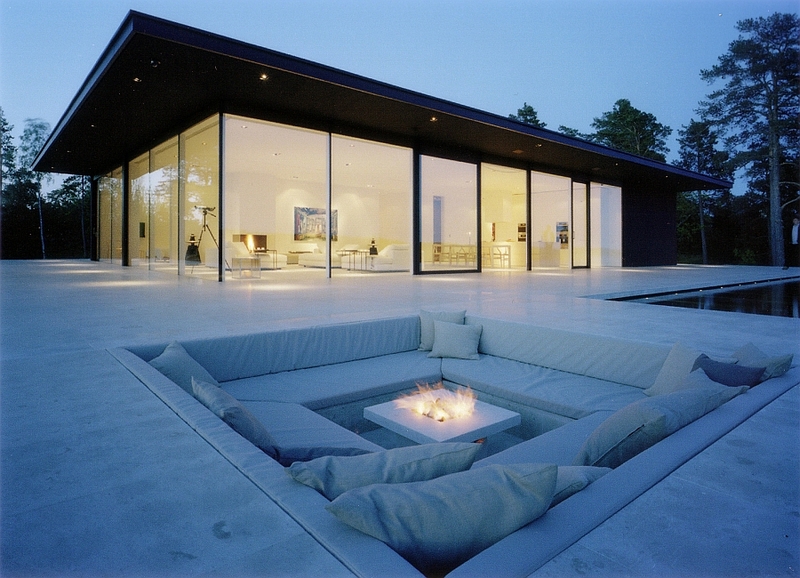 With a captivating infinity pool and a sunken outdoor lounge, you would definitely be spending more time outside than indoors here. 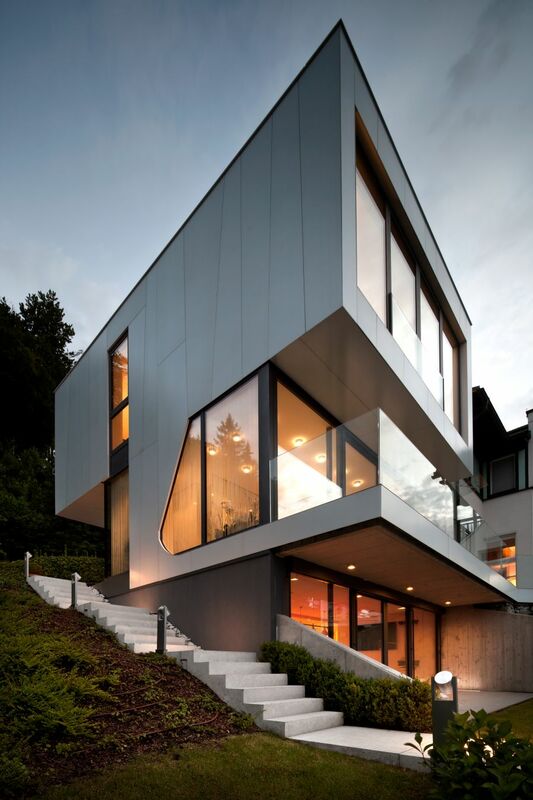 Modern architects and designers are quickly bridging the gap between the east and west, leading to a wonderful exchange and amalgamation of styles and ideas. 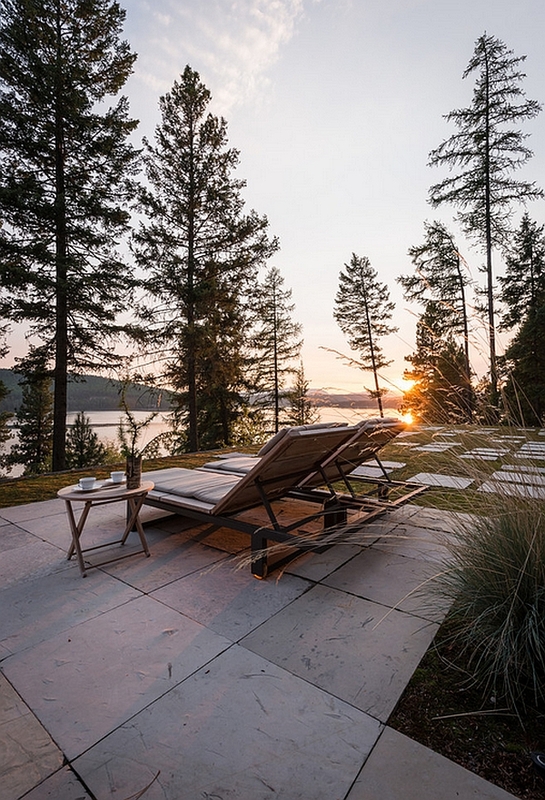 The secluded Pool House and Spa on the banks of Whitefish Lake in Montana is a perfect example of this fusion, as its cool exterior and relaxing interior are inspired by classic Japanese style. 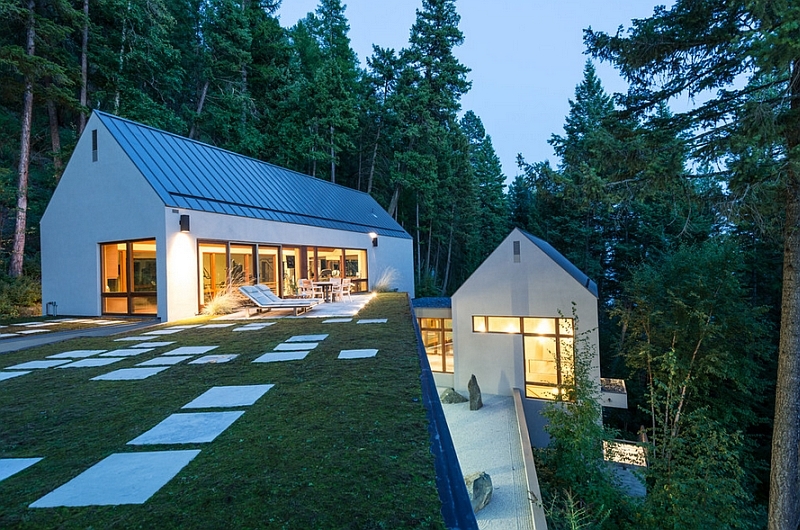 Designed by CTA Architects Engineers, the house is concealed in a lovely layer of greenery as the beautiful rooftop allows it to blend into the backdrop. 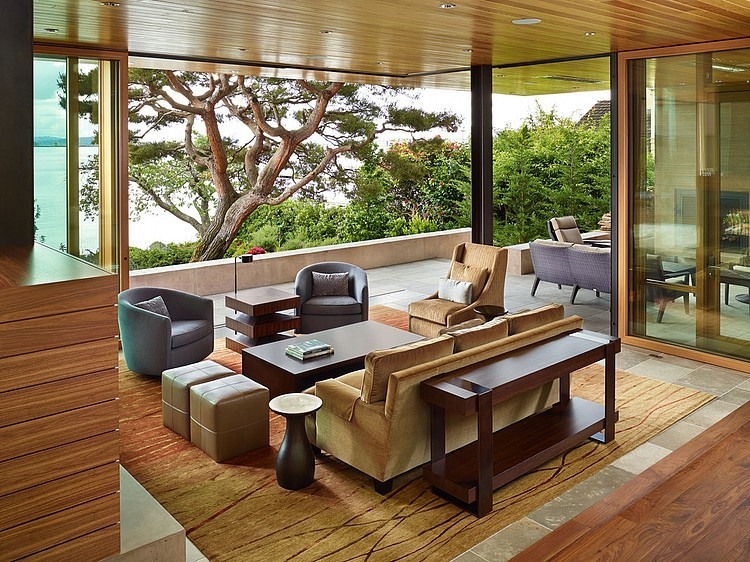 A serene Zen garden, smart use of teak and sustainable style accentuate the Asian appeal of the home. 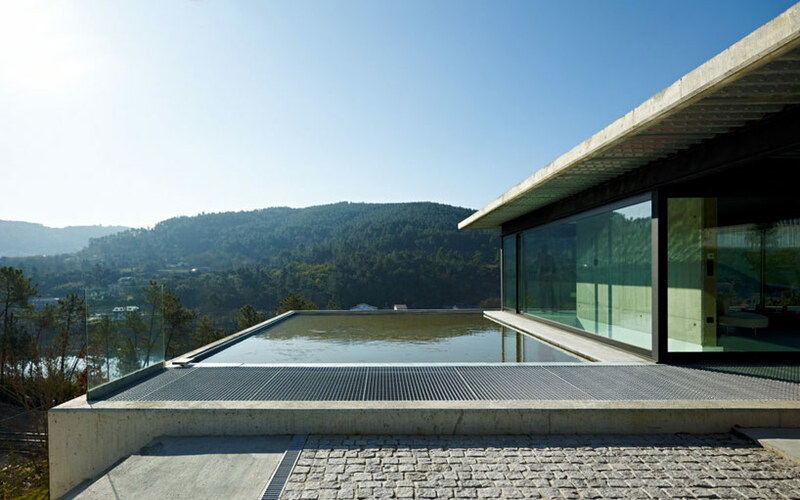 Another beautiful lakefront home that does a phenomenal job of blending with its surroundings is the Miño River House in Galicia, Spain. 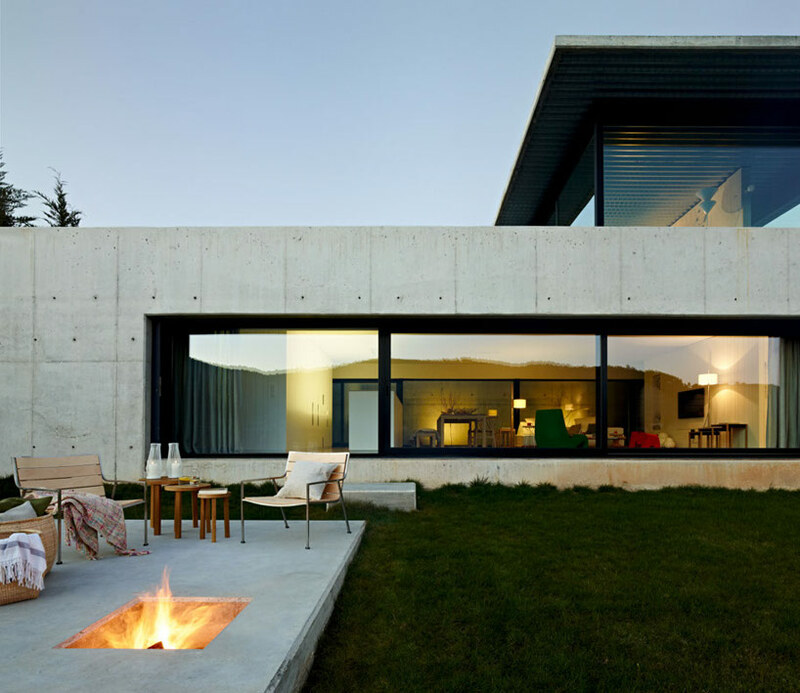 The inventive design of the residence presents a semi-buried unit of the house that features the living area, dining space and the kitchen, which seem to disappear into the side of the hill. 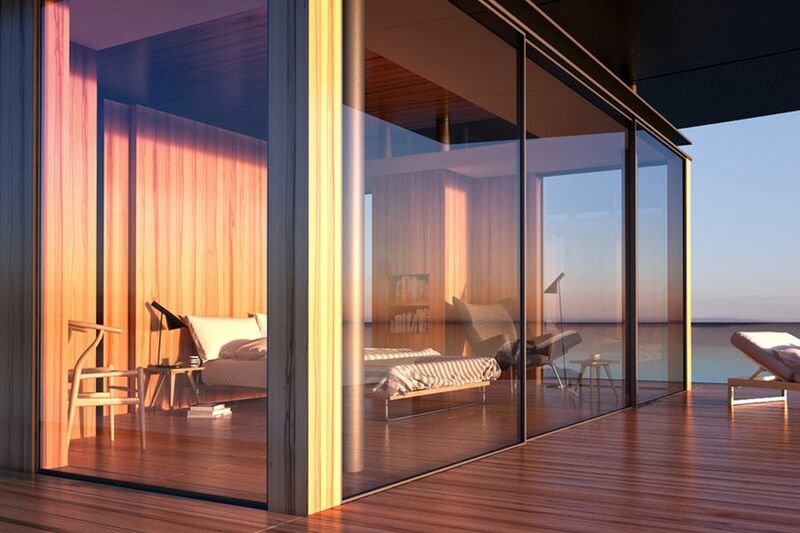 A glass box crafted specifically to bring 360-degree views and a carport that acts as the patio with a beautiful pool complete the home. 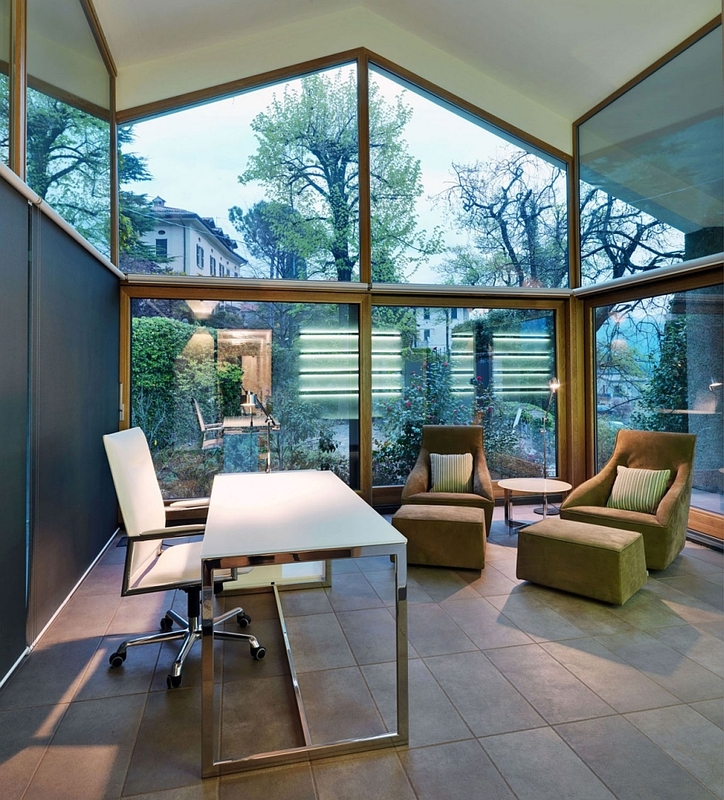 Ample natural ventilation and brilliant decor additions give the interior a cheerful ambiance. 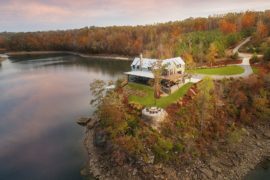 One of the great things about having a lakefront house is not just the view of the serene water body in the distance, but also the fantastic natural landscape that surrounds it. 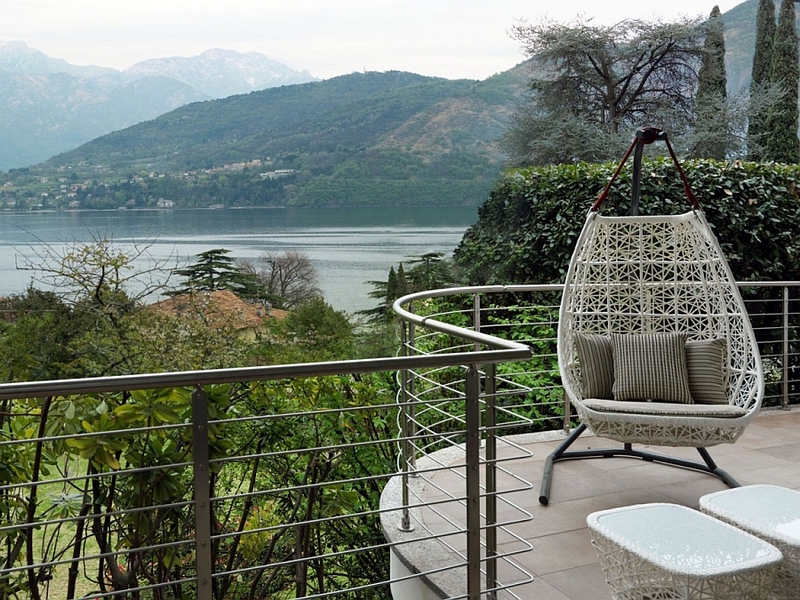 Nestled in a fairy-tale-like setting on the bank of Lake Como in Italy, this heavenly retreat leaves you mesmerized with its sights and sounds. 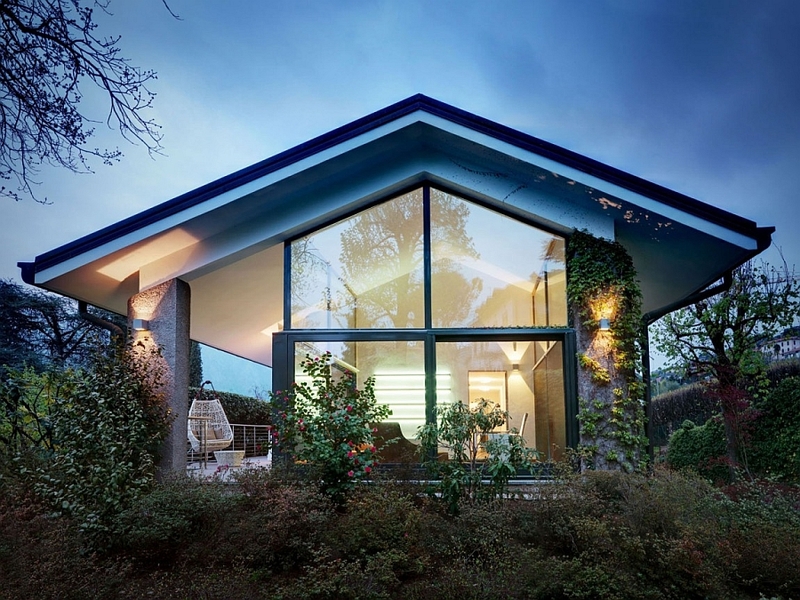 Using the simple yet classic form of a home with a pitched roof, the timeless silhouette of the structure plays a big part in creating that dreamy appeal! 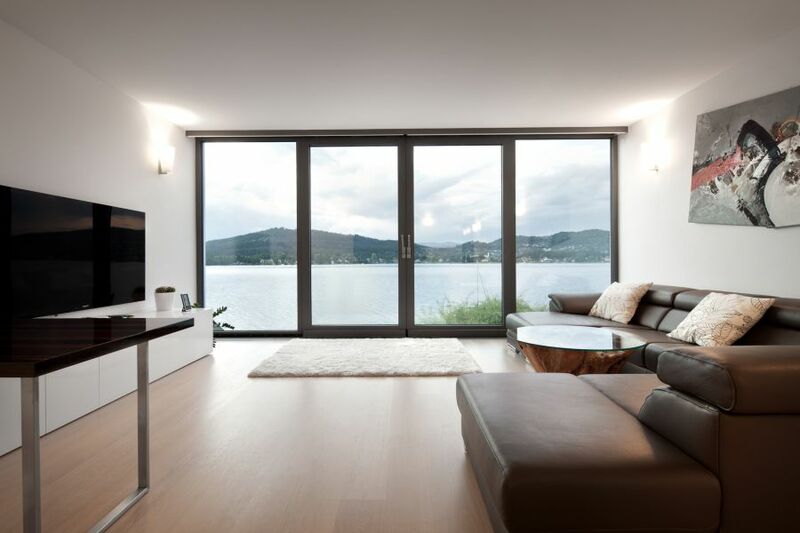 With the extensive use of glass and a refined interior, this Italian escape by Marco Pava promises to rejuvenate and refresh you instantly! 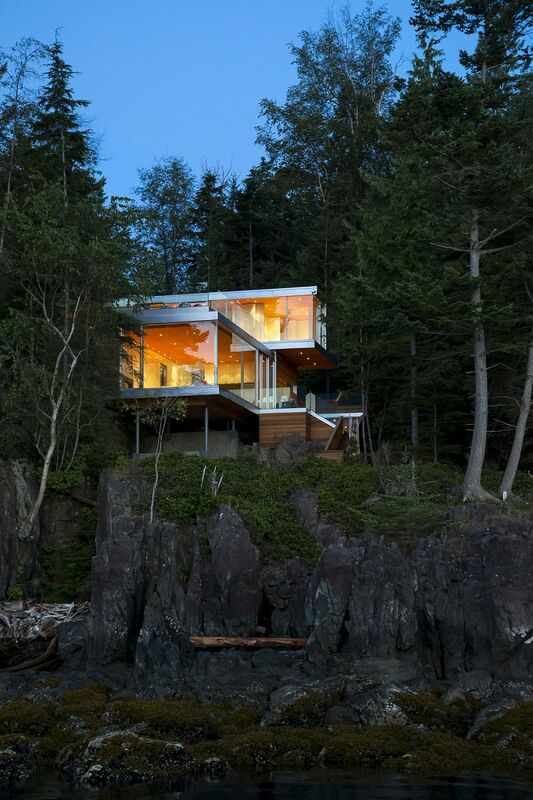 How about a lakeside home that is perched atop a cliff, surrounded by plenty of greenery and can only be accessed by a boat? 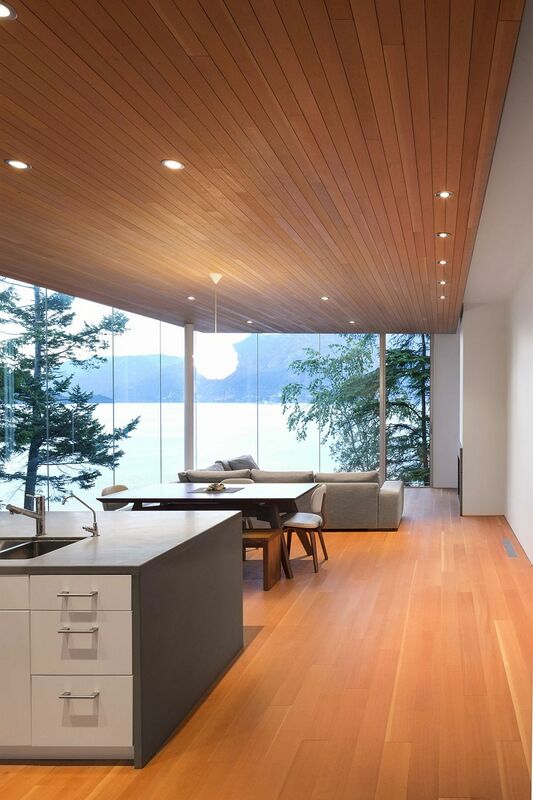 Yup, sounds absolutely perfect, and the Gambier Island House near Vancouver in British Columbia is one such lakefront home that brings this perfect dream to life! 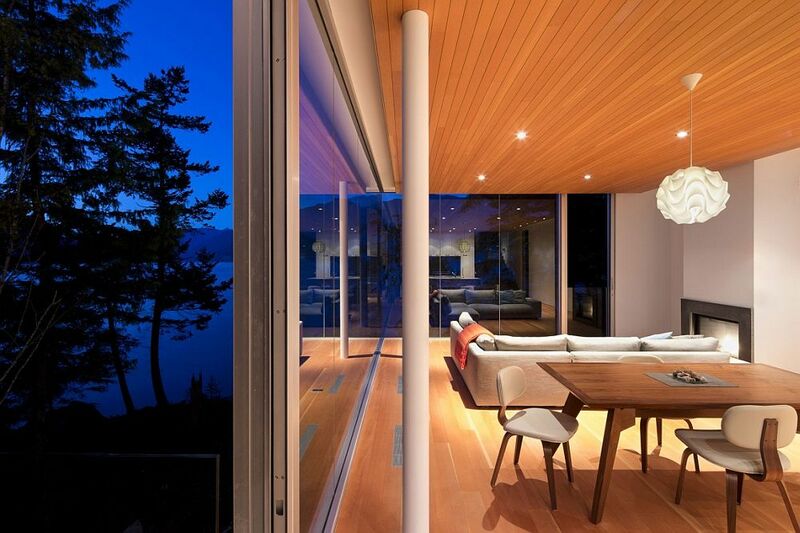 Conjured up and created by Mcfarlane Biggar Architects + Designers, the vacation home is laced with expansive roof decks and walkways that allow you to spend a wonderful summer away from the crowd and the big city rush. 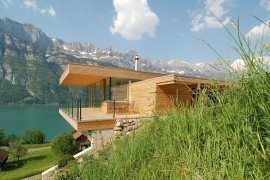 When we talk of lakeside homes, the first image that comes to mind is of traditional or modern retreats that borrow from the classic cabin style. 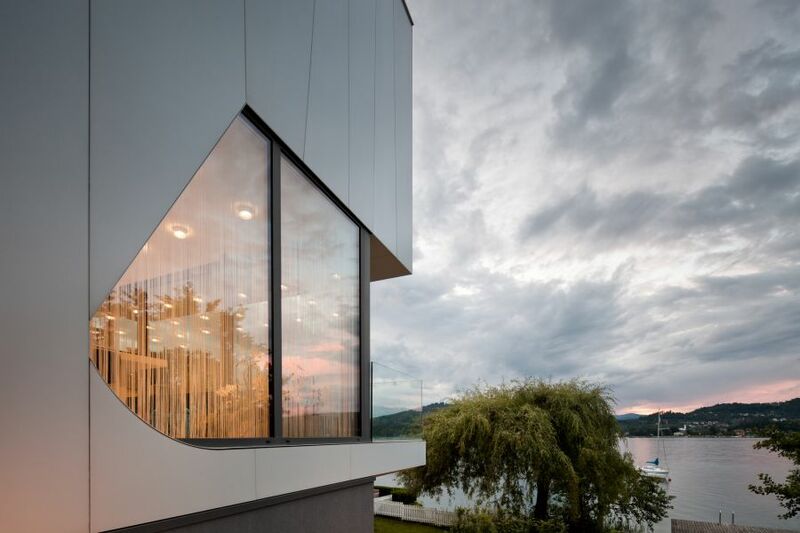 While some of the remarkable lakefront residences that we already showcased challenge this stereotype, this fascinating home in Carinthia, Austria by Spado Architects shatters that myth completely! 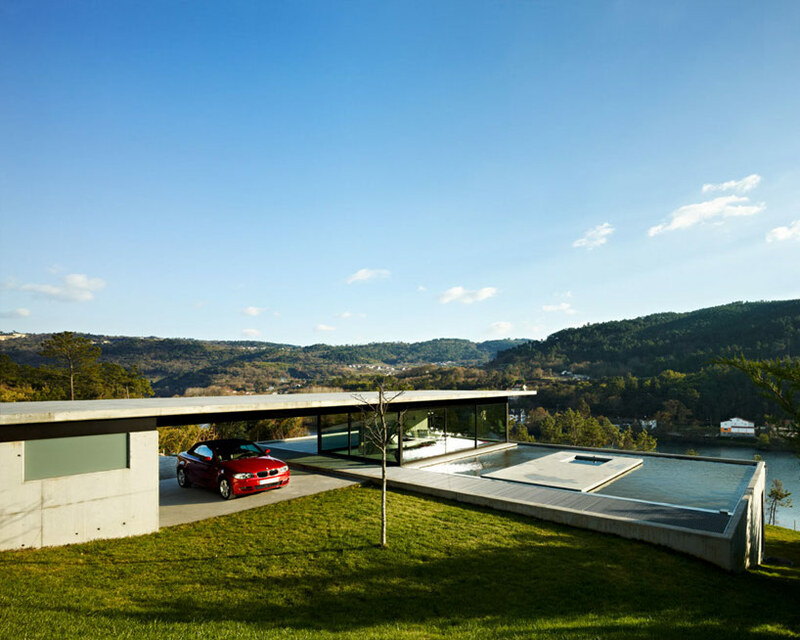 Minimal at every turn, this house employs translucent white glass panels and concrete to merge privacy with unabated lake views. 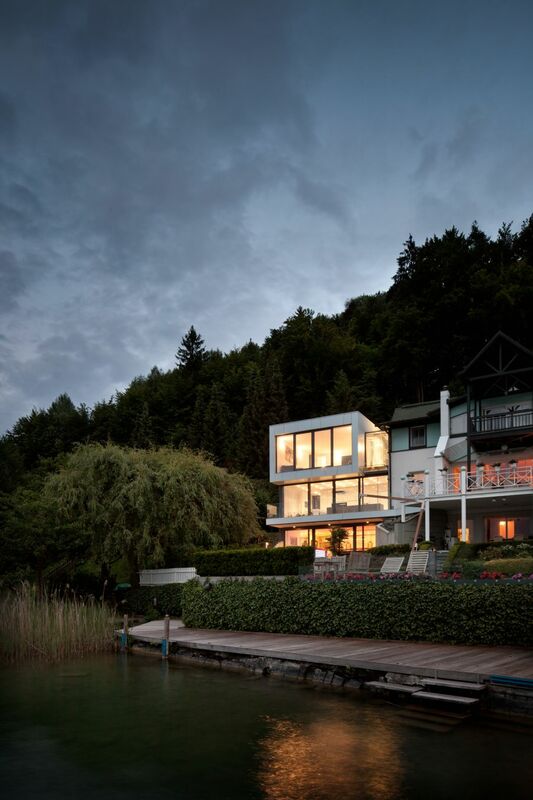 If the trendy Austrian home blends the lakefront home idea with modern minimalism, then the bold Casa L brings chic industrial style to the lake house. 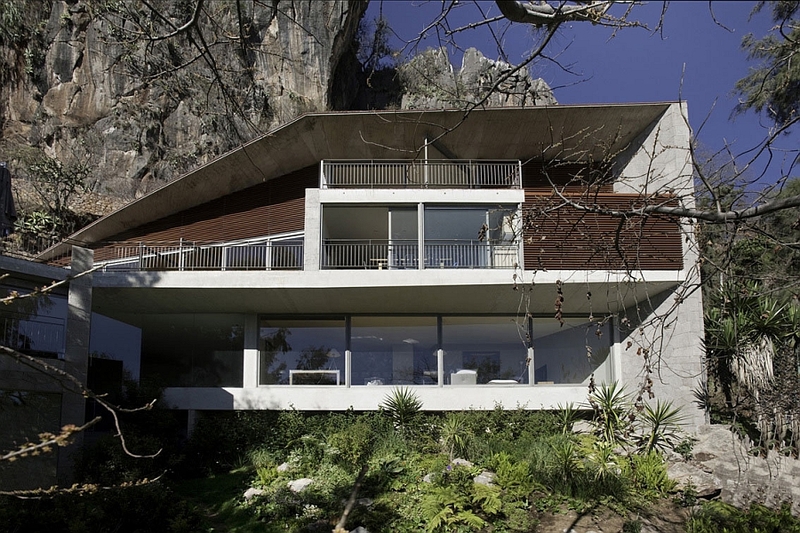 Located in the spectacular Valle of Bravo, which is renowned across the globe for its magnificent views, the ingenious home designed by Serrano Monjaraz Arquitectos is both versatile and eco-friendly. 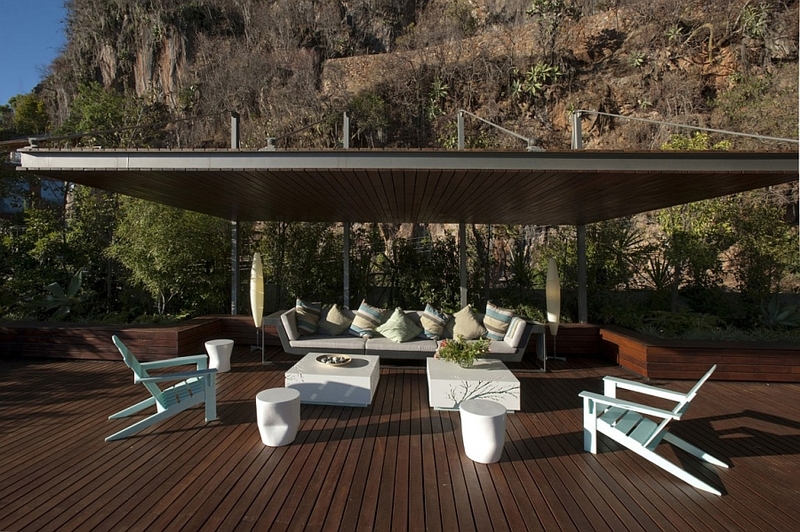 Raw casted cement, granite and unpolished wood usher in the restrained industrial appeal even as a large deck and multiple balconies let you enjoy the picturesque outdoors. 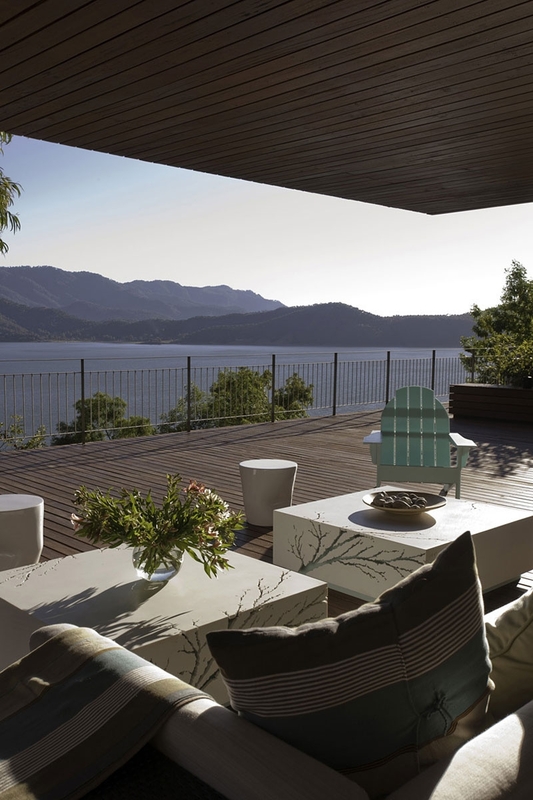 Enjoy the scenic landscape of Valle of Bravo! 9. Float Away to Nirvana! 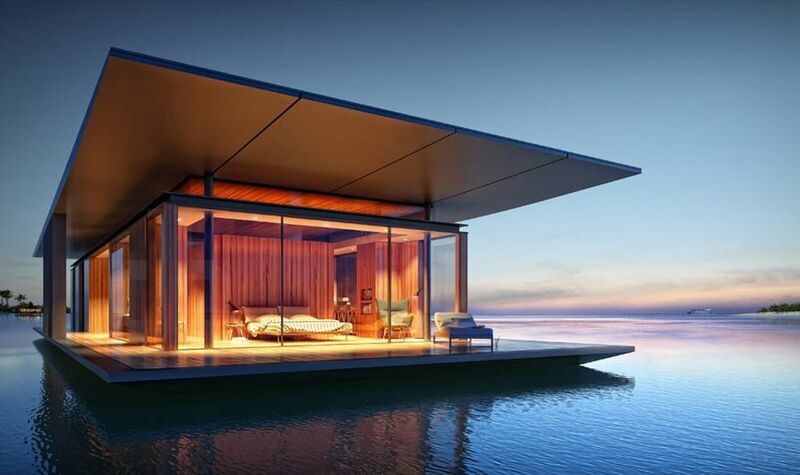 Okay, so the beautiful Floating House designed by architect Dymitr Malcew is not really a home located on the edge of a lake. 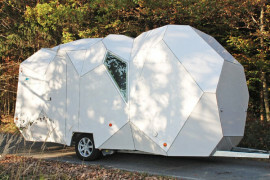 In fact, it is even better, as it turns any lake or river into your personal retreat as you float your way to paradise! 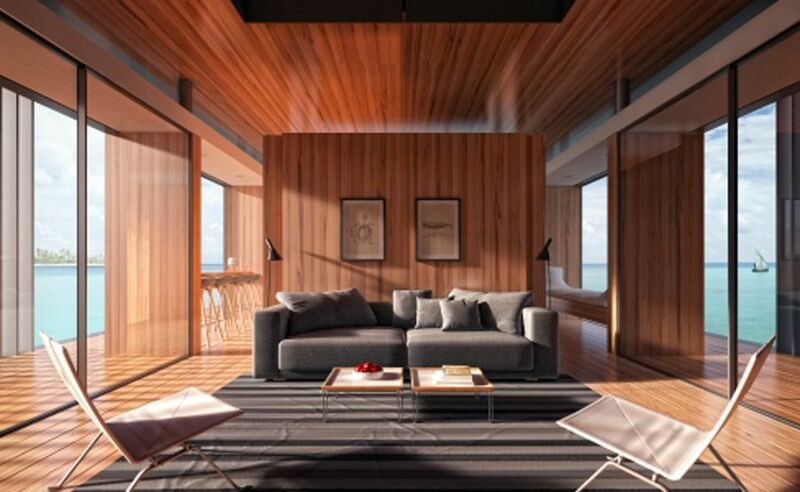 This irresistible and inimitable home can be custom-crafted to suit the specific needs of individual owners and the climate conditions in your region. 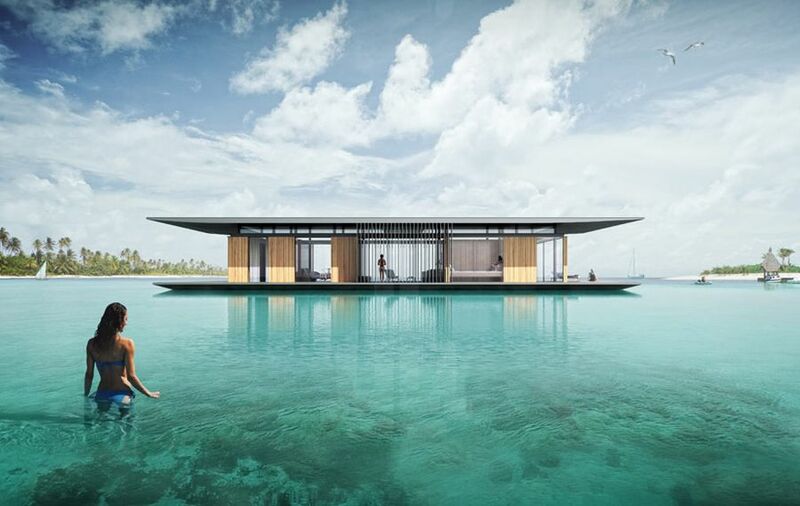 Complete with a fully functional kitchen, bathroom, bedroom and living area, it is not just another floating raft by any means. 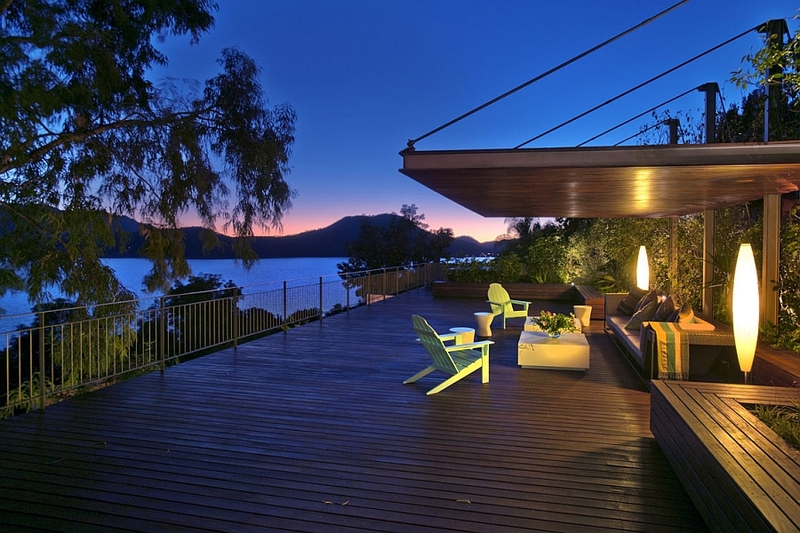 The house can be anchored overnight at any spot, and it drifts ever so gently as you spend some unforgettable evenings on its rooftop deck under the stars. 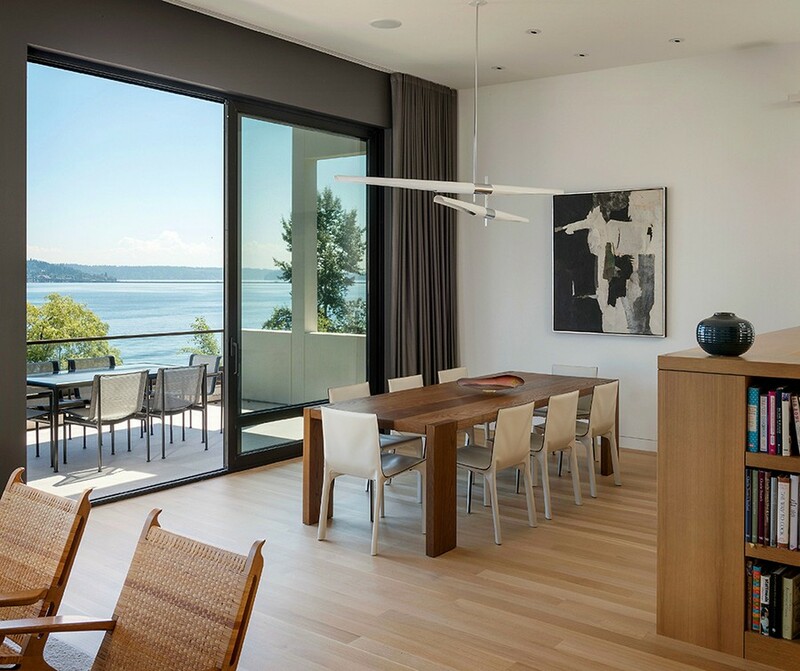 As in the case of the 10 modern home designs that we featured earlier, we are ending our journey across the best lakefront homes exactly where we began: on the banks of Lake Washington. 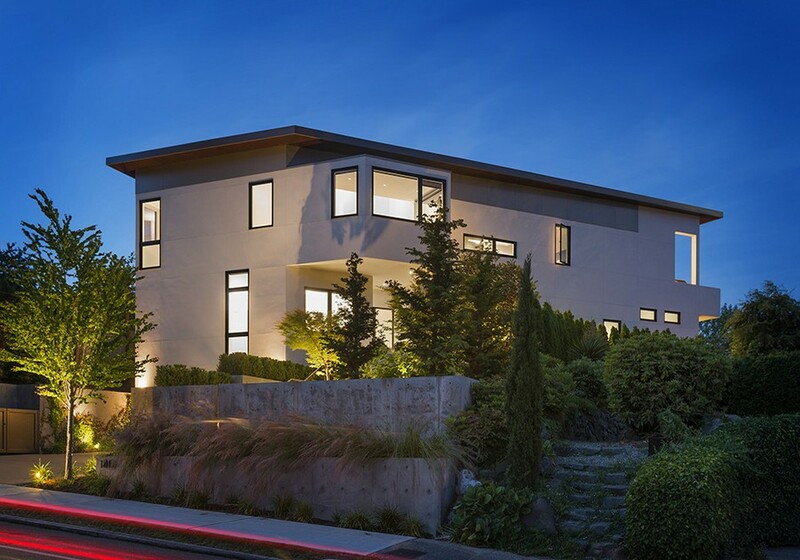 The Madrona Private House has a street façade that is specifically designed to keep away any prying eyes, while the rear of the home offers some extravagant views of the scenery outside. Warm earthen tones coupled with grey are used inside, and the public spaces are housed on the top two floors to maximize the views.